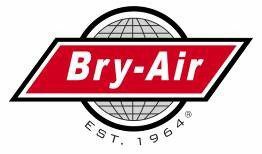 Bry-Air, Inc. environmental control systems allow for consistent control to efficiently prevent the effects of humidity such as corrosion in power plants. When a power plant is not in operation, many components within the plant are subject to corrosion. This is referred to as standby corrosion. A plant may be shutdown due to planned or unplanned maintenance, or due to low seasonal power demand. Both instances may require “mothballing” for months or even years. Coal, gas, oil or nuclear power plants have expensive auxiliary equipment that is subject to extensive moisture damage if measures are not taken to prevent corrosion. As a general rule of thumb, it is best to maintain humidity levels at or below 35% RH in order to ensure corrosion prevention. Air is re-circulated in a closed loop system through the low, medium and high pressure turbines. All openings should be sealed as tightly as possible. The maintaining of a low relative humidity will eliminate corrosion and the insulation resistance will be kept low, therefore, using a closed loop system at 35% RH is recommended. Initially as much of the remaining water as possible should be removed through drains or by vacuum. In a closed loop system, dehumidified air enters on the steam side of the condenser and passes through the turbine, condensate and feed systems to the steam drum of the boiler. After shutdown, as much of the remaining water as possible should be removed through drains or by vacuum. It is extremely important that pockets of water be removed, because if the dry air cannot reach all surfaces, corrosion will occur. In some cases it may be advisable to start drying out pockets of water in the system with a larger dehumidifier and then switch to a smaller one when the relative humidity is reduced to the desired control level. A closed loop system is usually used in this case. When oil-fired boilers are shut down, the temperature decreases, and the relative humidity increases. The higher moisture levels create a condition for corrosion, especially when sulfur compounds are present. 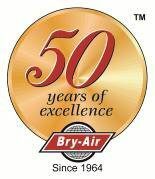 The utilization of an open system with dehumidified air at approximately 20% RH can prevent corrosion. Instances in which many smaller components need protection from corrosion or in which a larger component cannot be sealed tightly require a small, tight structure be constructed around the components. A closed loop system design will maintain a 35% RH environment.